We are already past the halfway mark of the 2018/19 season of the Premier League and by now we tend to know how the new signings of all clubs have fared. Some signings turn out to be brilliant, while some are never able to live up to their expectations. There have been players who haven't lived up to their reputations and the kind of form for which their new clubs signed them. With a high amount of money being spent by almost every Premier League club every summer, we are bound to experience a few bad signings and here we discuss the worst of this season. Adama Diakhaby was signed from Monaco by Huddersfield Town for 10 million Euros. This transfer always looked like a risk as so many players coming from Ligue 1 have failed in the Premier League. For the amount of money spent on him, a return was expected, but he has done nothing of note so far this season. 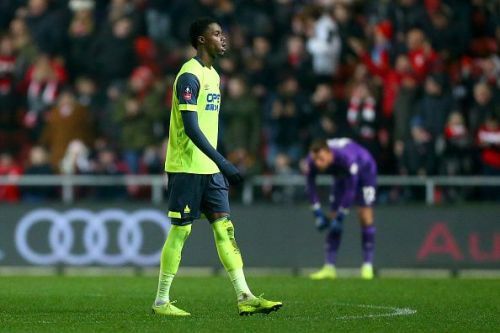 The Terriers are currently languishing at the bottom of the Premier League and their previous boss David Wagner, who had very high expectations from Diakhaby, has been sacked. Their new boss Jan Stiewart has mostly played the 22-year-old as a right winger and although he has shown some promise, that is never going to be enough if your team is currently battling for survival. Diakhaby can still come good as he has age on his side. In terms of stats in the Premier League this season, Diakhaby has played 11 games and has scored zero goals and given zero assists, which is shambolic in all honesty.